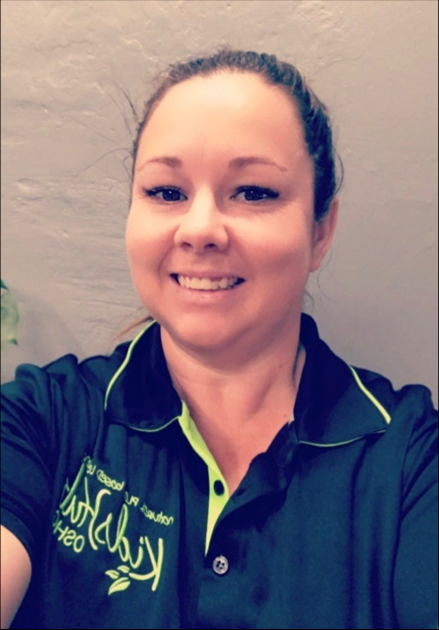 Hello, My name is Christie I am the coordinator at Kids Hub OSHC. I’ve been with Kids Hub since our very first days in February 2016 and have a long relationship with Angie and Kate who bought me on board at OSHC. I have over 15 years’ experience as an early childhood educator with many different ages, have my diploma in children’s services and I’m a mum of one beautiful boy who also attends Kids Hub. I am extremely passionate about nature play, learning through play, nurturing and supporting our children and their sense of wellbeing and happiness at OSHC which the Kids Hub philosophy fully supports. When I’m not at Kids Hub family and friend time is most important to me. I am so excited to get to know all the children and families at Kids Hub hopefully forming strong and lifelong bonds with you all. Hi, my name is Taylah, I am 18 years old. I have my certificate 3 in children’s services which I did while in year 12 at school and I’m currently studying my Diploma in children’s services, after I do my diploma I want to become a teacher. I love to be outside, hangout with my friends and spend time with my family. I started at Kids Hub OSHC in October 2016 and have loved getting to know all of the children and families so far, I look forward to many more years with Kids Hub! Hi, my name is Mackenzie and I have been working with Kids Hub since June 2016. I have my Certificate 3 in children’s services and I’m currently studying my Diploma in children’s services. After this I hope to continue on to study my Bachelor of Education. When I’m not at Kids Hub I nanny for some other families. Some of my favourite things to do in my spare time include netball, basketball and spending time with family and friends. I look forward to meeting and getting to know your children and yourselves.